There are many types of gifts for women. Choosing a gift for a woman's birthday can sometimes feel challenging, but there are basic ideas for a gift that she will appreciate. It is important to ascertain what the recipient's likes and needs are. Consider her age when choosing an appropriate gift, as tastes and interests change as a woman matures. For a woman who puts in a long day at work and then comes home to start her second “job,” a gift that offers her a way to unwind and relax can be a gift she will especially appreciate. If she has a frequent complaint of sore feet, a foot massager could be the ideal gift for her. If you've got a bit more to spend, a gift certificate to a spa or weekend retreat are gifts sure to bring her a sense of peace. An evening full of entertainment that you know she will love is a marvelous way to say “Happy birthday” to a daughter, girlfriend or wife. This could include a play or rock concert, perhaps followed by a late night supper with a few turns on the dance floor. Alternatively, if you are looking for the perfect way to show a grandmother how much she means to you, rent a restaurant for an evening, invite the whole family and hire a singer to sing some of her favorite tunes. Another birthday gift for a woman could be one that is unexpected. 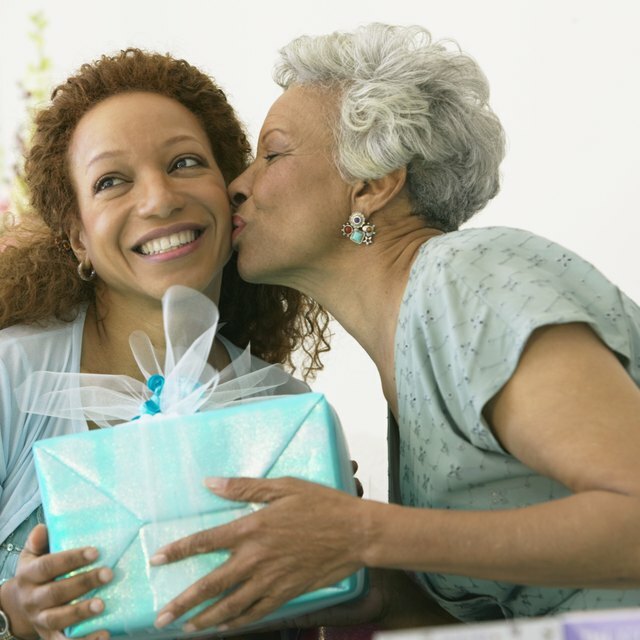 If you are working with a limited budget or if it's a gift that a child or teen will be giving Mom, think about a gift of doing something for the woman in your life for a period of time. This type of gift could be a week of breakfast in bed or a week of cooking dinner. Or you might clean the house or do a thorough cleaning of her car. If a teenage girl is celebrating her sweet 16, then a gift of a necklace with 16 birthstone gems would be appropriate.